I’m really pleased to be able to announce that I have a book coming out. It’s about how public opinion limits action on climate change and what can be done to overcome climate apathy. 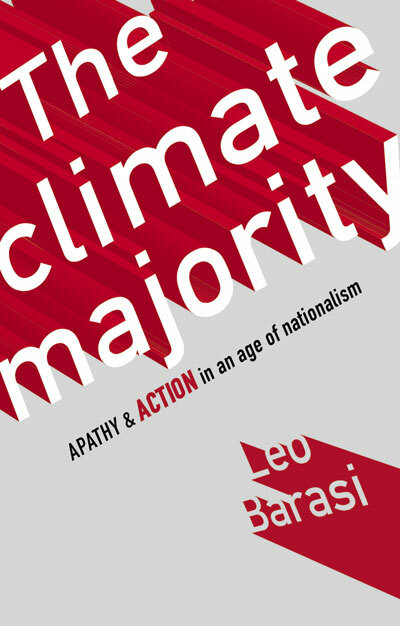 The Climate Majority: apathy and action in an age of nationalism will be published by New Internationalist on 21 September. You will be able to buy it directly from the publisher, from Amazon or of course from your local bookshop. “The Climate Majority” is not about the climate deniers or the climate activists. It’s about apathy, about those who don’t talk about global warming – the billions of people who have heard plenty about climate change and acknowledge there’s a problem, but who are just not engaged enough to stimulate the change required to stop it. Preventing extreme climate change is one of the hardest tasks humans have ever faced. Rising nationalism and the US plan to withdraw from the Paris agreement are blows to progress. But only by influencing those who have, so far, remained outside the debate will we have a chance of building a climate majority to back the measures required to avoid disaster. It’s the product of more than two years of intensive researching and writing – but also of the many more years I’ve been running this site (including Climate Sock before it). I’m immensely grateful to everyone who’s read and commented on the site over the years and those who have told me they’ve found my writing to be useful. Without that feedback it’s unlikely that I would have persevered. This entry was posted on Saturday, July 29th, 2017 at 21:28	and is filed under Climate Majority. You can follow any responses to this entry through the RSS 2.0 feed. Both comments and pings are currently closed. Well done, the fact that climate change and global warning is the most important problem (not brexit or terrorism) that the world faces appears to have escaped most people. I look forward to your book.